No cash? No problem! Fun and romance can happen without spending your whole paycheck, and may even be better for it. My husband and I are no strangers to broke dates. We started seeing each other while interning abroad on shoestring budgets and continued to be dirt poor throughout college. Eventually, we graduated and started making decent money, but we still consider ourselves connoisseurs of the reduced-cost rendezvous. The thing is, there’s no reason why a date needs to be pricey. 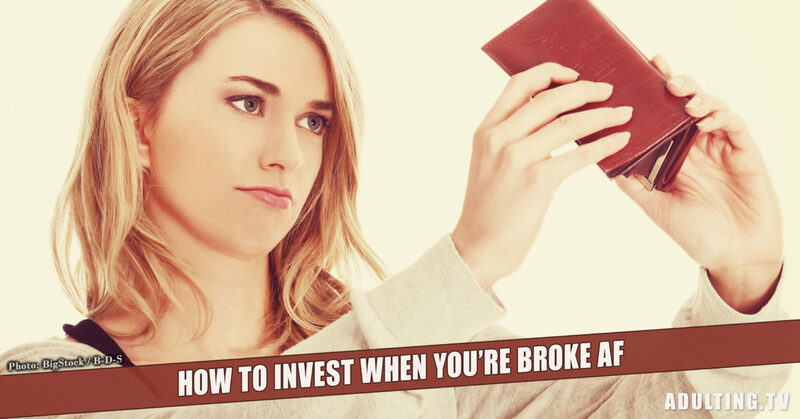 In fact, those of us looking for a frugal partner may actually want to find someone who can have fun without dropping a week’s salary in the process. 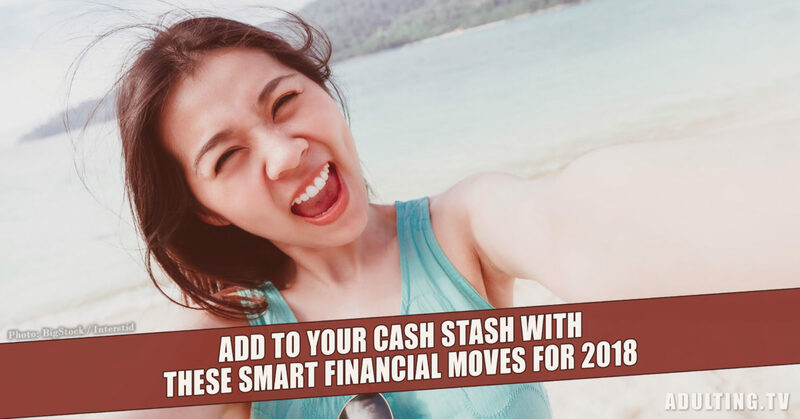 There are so many options for a cheap rendezvous, you can even suggest one without mentioning that you’re trying to save some money. Here are some of the best options for dating on the cheap, pulled from my experience as a dead broke, love-struck twentysomething. Take advantage of free admission. Almost every local museum, zoo or other attraction has multiple free days during the year when anyone can visit for no cost. My local botanic gardens offer free admission once a quarter, while the zoo has them once a month. Free days are usually packed with people, so it won’t be a very intimate experience – but it’s a great compromise for broke couples trying to have a little fun. Heavy crowds can also be a great opportunity for people watching. You can find when attractions are free by searching “free admission [insert city here]” or subscribing to newsletters related to local events. Newspapers usually have an entertainment section where they list event details, and even your city’s Reddit forum will have information on when attractions are free or heavily discounted. What better way to spend a few hours with someone special than by exploring the great outdoors? Find the best local hikes near you and pack a few snacks, water bottles, and sunscreen. You probably won’t have to pay a dime, except for the cost of gas. Hiking not your thing? Grab a pair of old roller blades and find some quiet side streets, or take your bikes out for a ride. Being active together is always more fun than a traditional dinner-and-a-movie date, and is usually free or absurdly cheap. It’s well known that exercising and being outdoors releases endorphins and promotes a happier mindset – perfect for a date. If you’re not the adventurous type or don’t live near any decent hiking spots, hit up the best parks nearby or take a walk through an interesting part of town. When I first started dating my husband, we’d spend date nights taking walks around the neighborhood. Granted, we were studying abroad in London at the time so walking aimlessly was still romantic and exciting. We didn’t have much money, but I cherished our walks, even if we covered the same ground every time. I’m a huge fan of going to trivia nights at my local bar. It’s one of my favorite things to do with friends, and it’s way cheaper than you might think. Trivia events usually last a couple hours, and you can order as much or as little food and drinks as you want. Trivia on a date is fun because it’s interactive and doesn’t require you to answer repetitive questions like “where are you from?” and “how many siblings do you have?”. You’ll learn so much about the other person, like why they know Selena Gomez’s birthday or how they can list all the Star Trek captains in alphabetical order. I always eat dinner at home before going to trivia and only order a small appetizer when I’m there, spending around $5 each time. You can find a trivia event no matter where you live or what your schedule is. Plus, it’s the perfect excuse for your friends to meet the person you’re seeing. One of the most memorable dates my husband and I ever had was when we decided to make lasagna on Valentine’s Day. Neither of us had ever cooked lasagna before, but we thought it would be fun to save money and do something together. It was a disaster. Cooking lasagna is an intense process, both in cooking and cleaning up afterward. We made enough lasagna to last the two of us for a week, after which we decided to never make it again. But we had a blast, and I still recommend cooking together as a fun date for broke couples. Pick a recipe you’ve never tried, preferably something new or challenging like Thai Curry or a chocolate soufflé. The point is to get you both out of your comfort zones, trying new things and embracing the challenge together. If the dish doesn’t turn out well, you’ll have a fun story to share with friends and family. Make the shopping more exciting by visiting a local farmer’s market or ethnic grocery store together. It won’t be as easy or convenient as grabbing take-out or ordering a pizza, but you’ll have more fun and learn a new skill at the same time. 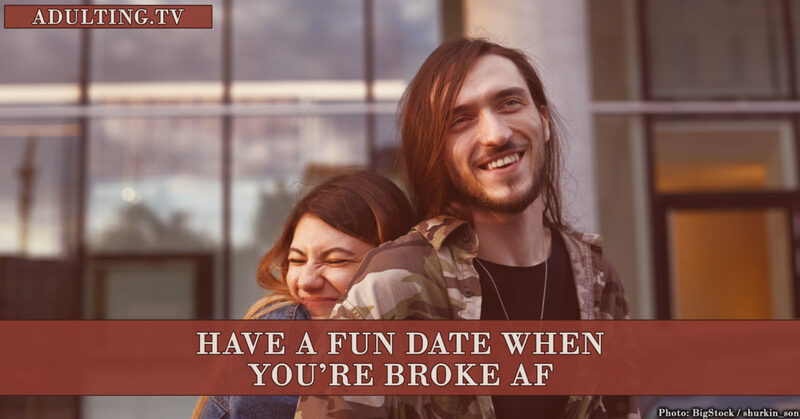 If you have any other great date ideas that won’t break the bank, let us know in the #Adulting Facebook community. See you there!